Base General Bernardo O'Higgins Riquelme, also Base Libertador General Bernardo O'Higgins Riquelme, or shortly Bernardo O'Higgins, named after Bernardo O'Higgins, is a permanently staffed Chilean research station in Antarctica and the capital of Antártica Commune. 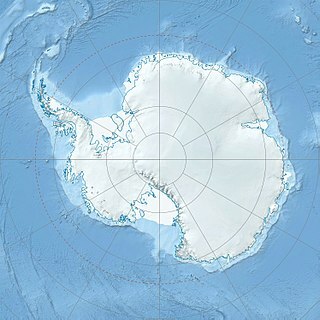 It lies at 63°19′15″S 57°53′55″W, at an elevation of 13 m, about 30 km south-west of Prime Head, the northernmost point of the Antarctic Peninsula, at Cape Legoupil. Buromskiy Island is a small island lying 0.6 km (0.37 mi) south of Haswell Island in the Haswell Islands of Antarctica. About 200 m long and 100 m wide, it was discovered and mapped by the Australasian Antarctic Expedition under Douglas Mawson, 1911–14. It was photographed by the Soviet expedition of 1958 and named for N.I. Buromskiy, expedition hydrographer who lost his life in the Antarctic in 1957. It lies 2.7 km north of Mabus Point, the site of Russia's Mirny Station.